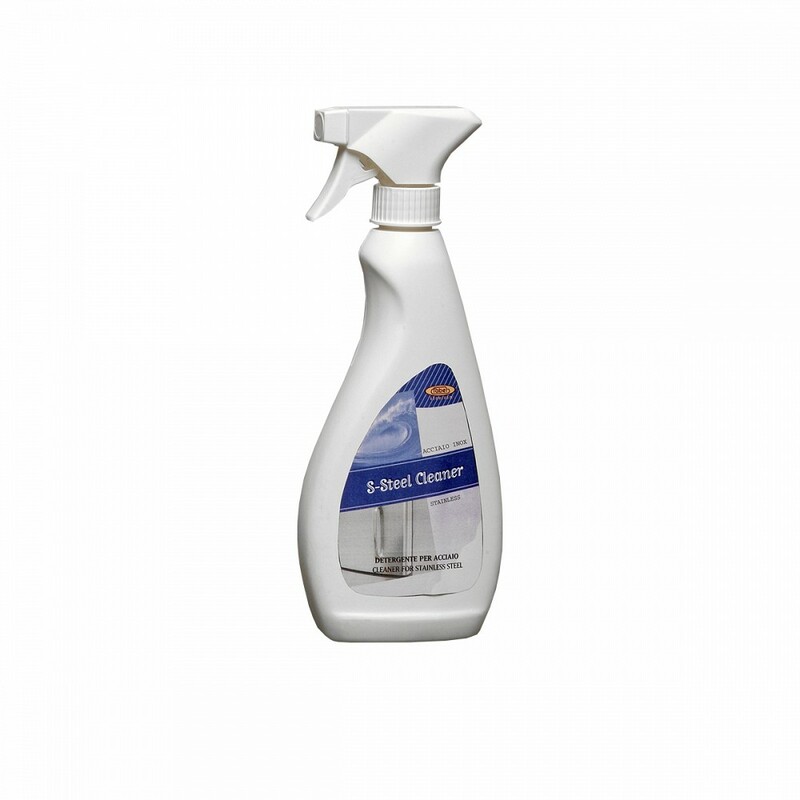 Water-based, pH-neutral cleaner specifically for day-to-day cleaning of steel surfaces. S-STEEL CLEANER is a water-based product, specifically developed for cleaning and maintenance of almost all surfaces in steel. Its formula is effective on greasy, old and built up dirt, without damaging treated surfaces. It does not leave surface residues and needs no rinsing. S-STEEL CLEANER is especially recommended for daily cleaning of cook tops, taps, stainless steel, worktops and any other steel surface. It is quick and easy to use, thanks to its practical spray dispenser.